2017 might have been brutal in general but we were still treated to some highly enjoyable albums. Here are The Disorderly's Top 10 picks for Album of the Year. Ever since that fateful broken leg that led Action Bronson out of the kitchen and into the recording booth, rap fans have been treated to the lyrical stylings of one of Queens’ finest. With four studio albums and a whole bunch of mixtapes and features in between, Bam Bam has built up quite the body of work over the years. And yet, the 2017 release of Blue Chips 7000 may be his best yet, showcasing his continued growth as both an artist and a person. But most importantly, it’s still fun. Action Bronson has never taken himself too seriously and that’s been the key to his success. That, and his undeniable talent. There are very few bands capable of capturing that 1970s Americana feel while at the same time maintaining a completely original sound. With the airy vocals of Adam Granduciel and the full-bodied soundscapes surrounding him, The War on Drugs puts you in a meditative headspace that you won’t want to escape. They redefine the term easy-listening. A Deeper Understanding serves as a perfect follow up to the critically acclaimed Lost in a Dream. Hit play, close your eyes and reflect on your life. Let’s get introspective. The Spillage Village collective may be a bit underground for casual listeners, but they certainly seem to be thriving there. Rapper J.I.D - a frequent collaborator with fellow Atlanta-based rap group EARTHGANG – has begun making a name for himself as a solo act in 2017. After signing with J. Cole’s “Dreamville Records” in February, J.I.D released his debut studio album the following month. The Never Story successfully announces his arrival as one of hip hop’s brightest prospects. A start-to-finish classic and a good sign of things to come. Hell of a debut. Talib Kweli is one of the true veterans of the rap game. In a world of hyperbole and exaggeration, the term ‘legend’ gets thrown out far too often. Well in Kweli’s case, it’s well-deserved. Still, legendary doesn’t guarantee a good product. Eminem’s Revival is a perfect example of a failed attempt. Hell, I didn’t even like A Tribe Called Quest’s We Got It From Here despite a plethora of rave reviews. But I felt Radio Silence hit all the right notes. With memorable features from Anderson .Paak and Jay Electronica, along with the lyrical brilliance of Talib Kweli (who appears to be re-entering his prime), Radio Silence is absolutely one of the best of 2017. 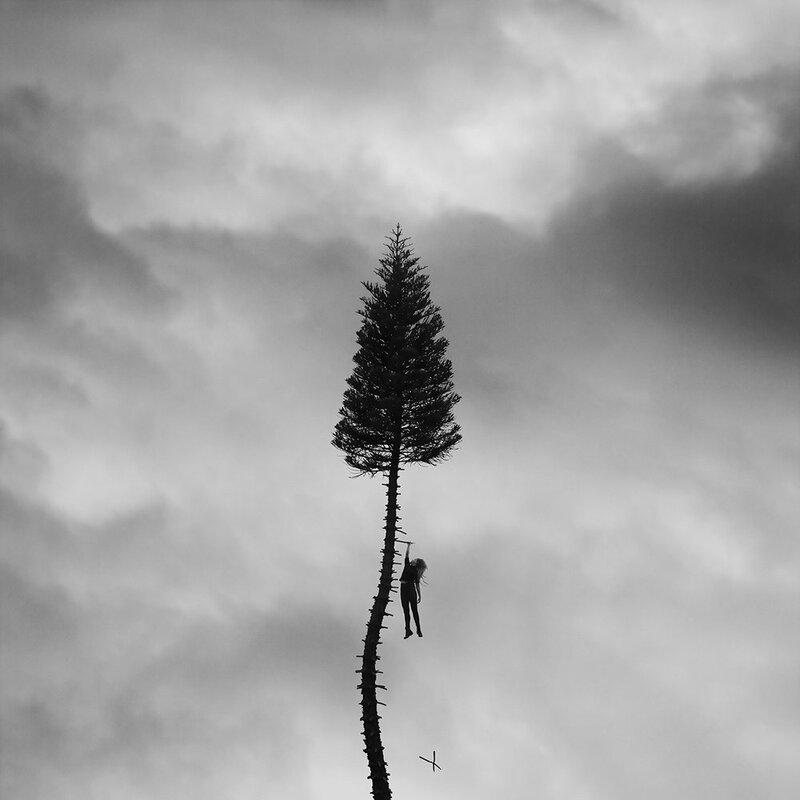 Manchester Orchestra is well established on the indie circuit, this being their fifth studio album. They’ve become one of the most consistent hitters in the genre, delivering powerful crescendos and beautiful harmonies in nearly every song. Whether it’s the slow build of "The Maze" or the shout-along anthem of “The Gold,” A Black Mile to the Surface has something for everyone. Think Silversun Pickups meets Mumford & Sons, only the best parts of both. This one should remain in steady-rotation for a while. The electronic/R&B crossover genre has become extremely popular, and with that, comes an oversaturation of mediocrity. Well get ready to rewire your brain because Sampha’s Process is truly special. A good voice is a dime a dozen, but a unique tone is priceless. Sampha’s soul bleeds through his runs and his London accents adds an interesting flare to the lyrics. It’s emotional. It makes you want to cry. It makes you want to dance. I can’t stop listening to it. I want more Sampha and I want more Sampha now. Upon my first exposure to The System Only Dreams in Total Darkness, I knew we were in for something great. It had a perfect aura of isolation for the first single. 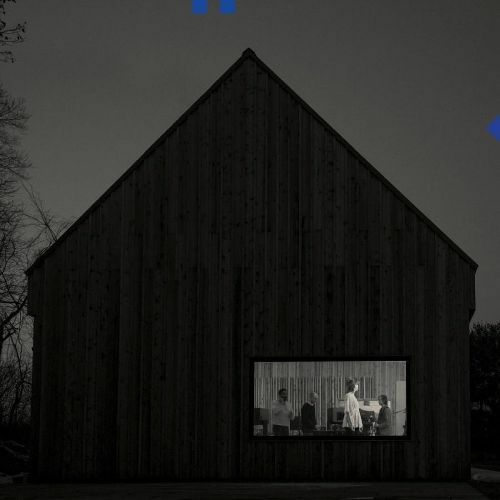 After all, nobody can convey that feeling of loneliness quite like singer Matt Berninger, and I mean that in the best way possible. It’s haunting. This is not exclusive to Sleep Well Beast, but it does appear that others are finally connecting to the tone of The National. Nominated for two Grammys in 2018 and topping the Billboard charts for the first time in nearly two decades of existence, it seems that The National is about to become so much more than your favorite indie band. If they keep producing content like this, I’m not worried about how they’ll fare in the mainstream waters. I had trouble deciding how to categorize Brockhampton’s Saturation series. While it’s technically three full-length albums, the proximity of their release makes it easy to consider them one long project. Plus, they’re all connected, by name and theme alike, and they’re all brilliant. The roll-of-the-dice that is the Brockhampton collective – essentially a bunch of kids who decided to bring their individual talents to SoCal with the shared goal of creating art – has worked out fantastically. With the 2018 release of Team Effort already on the calendar, I may go ahead and add them to next year’s Best Album list as well. These guys are showing no sign of slowing. Julien Baker exploded onto the indie scene in 2015 with her debut studio album, Sprained Ankle. This year’s follow-up, Turn Out the Lights, showcased her growth as an artist without completely breaking the mold. In essence, it provided a great example of what all artists should strive for; a perfect balance. Turn Out the Lights, like her debut, is deeply personal and profoundly somber. But unlike her debut, this project has a twist of optimism at the end (depending on how you view the ending, it’s a bit open ended). I’m looking forward to what the future holds for my girl JB. But in the meantime, I’m playing Turn Out the Lights on loop. Kendrick Lamar is the greatest rapper to ever do it. I’ve felt comfortable saying that for the past couple years now. And yet, Kendrick was still able to take things to an impossibly higher level with Damn. Loaded with as much social commentary as his previous work, disguised in slick lyricism and a hypnotic flow, Damn is striking upon first-listen and increasingly meaningful the deeper you dig. We are witnessing the redefining of what a hip hop artist can be. He’s staying inside the genre and changing it from within. And we’re all better off for his contributions. Kendrick Lamar wins 2017, and like so many others on this list, 2018 looks even better.